I wish I could take credit for something at this fun party but I can't. This was a birthday party for Wyatt's school buddy Diego. Now these people know how to throw a party. 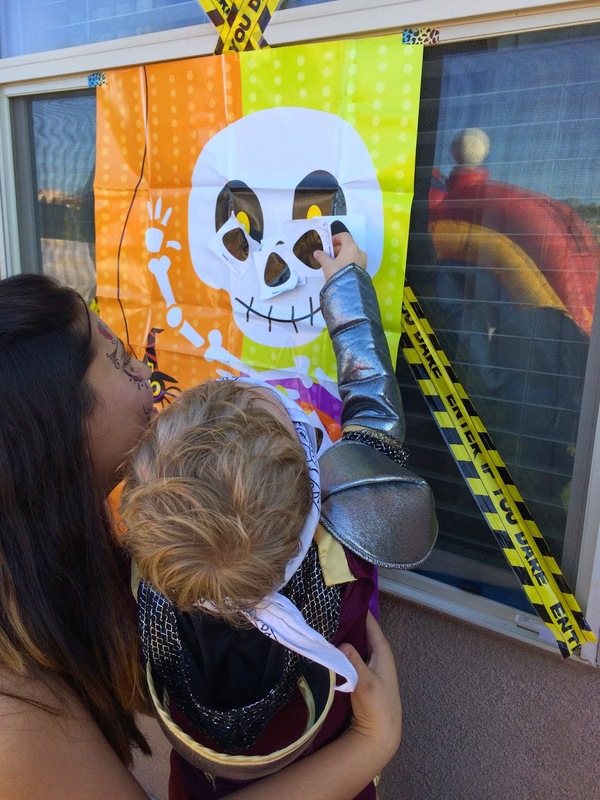 I wanted to post about this because I have been wanting to throw a Halloween party for my kids and I swear I will do it every year. Now I have some fun ideas for when I actually do it. 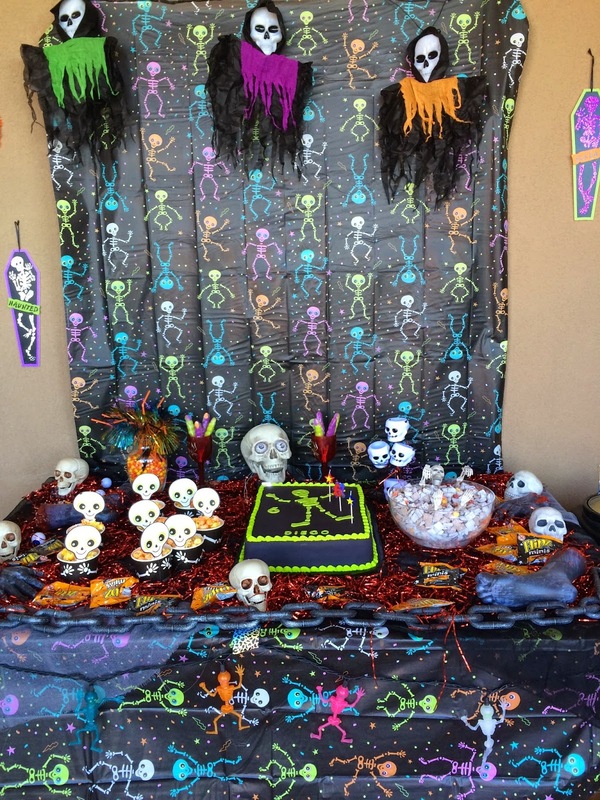 I love the cute skeleton theme she did. She got most of this stuff from Target. 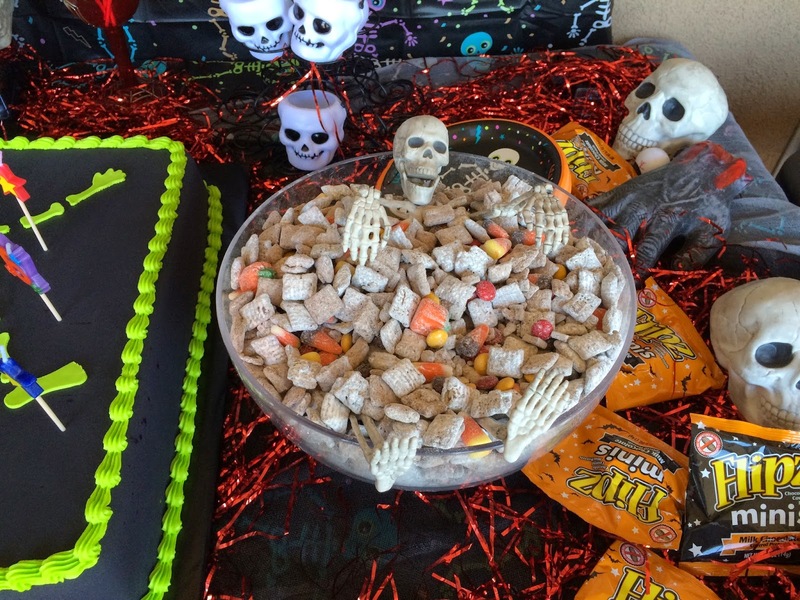 Chex Mix with a skeleton hanging out in it. So fun! 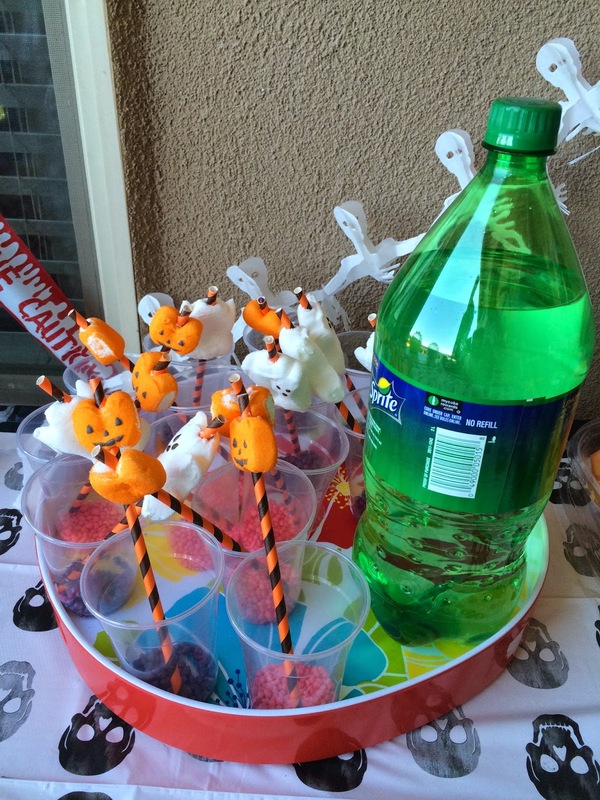 I LOVED this cute drink idea. Nerds, Sprite and paper straws with a peep on them. This would be fun with Pop Rock candy too! 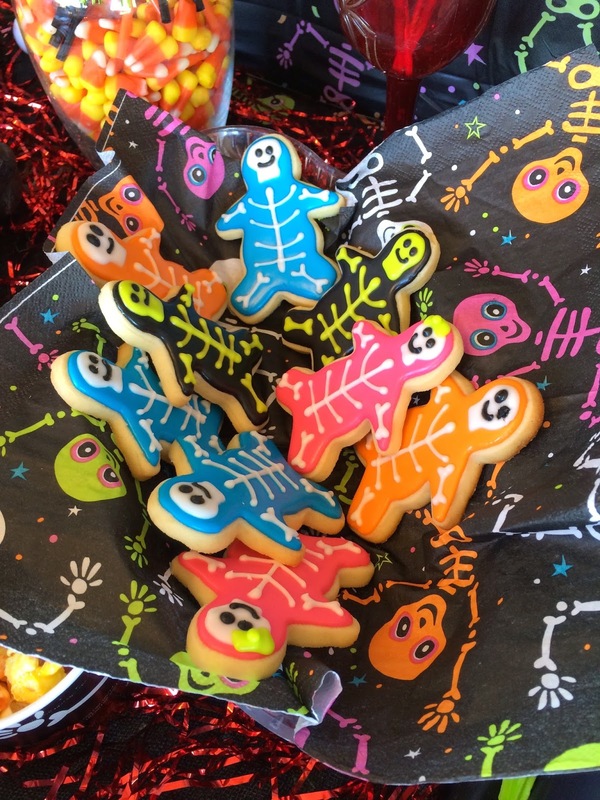 I want to remember this cookie idea for next year. They used a Gingerbread cutter and decorated him as a skeleton. They played really fun games like this pin the nose on the skeleton. 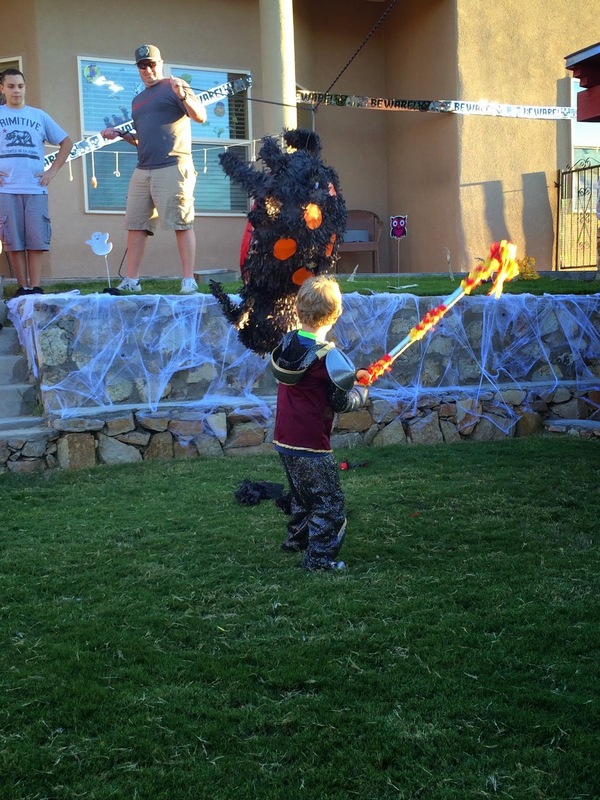 And had a huge piñata. 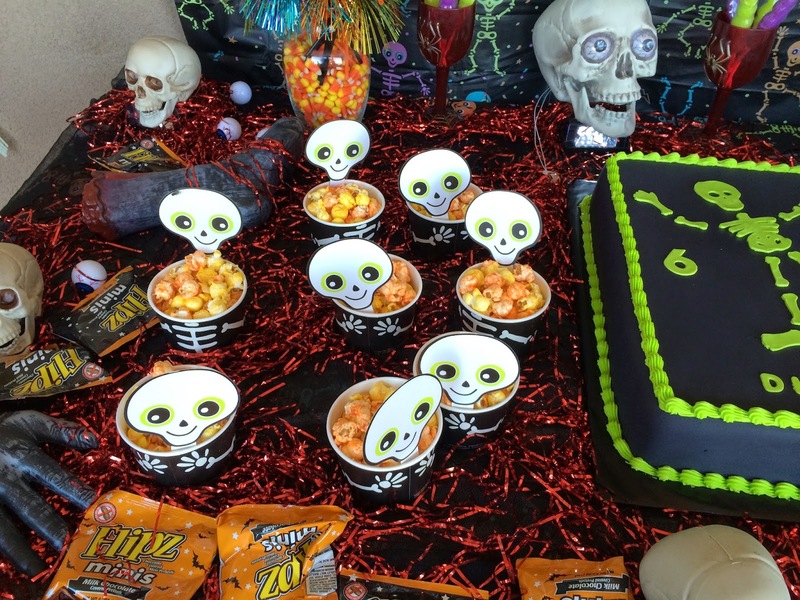 They also did a costume contest, had a bouncy house, played the donut on a string game where the kids had to try and eat the donut hanging from a string without touching it, and a game where they tossed a ping pong into the witches caldron. Super fun party and the catered food was amazing!